The London Midland Society is a 100% volunteer project and we are always looking for new volunteers, whatever their ability. 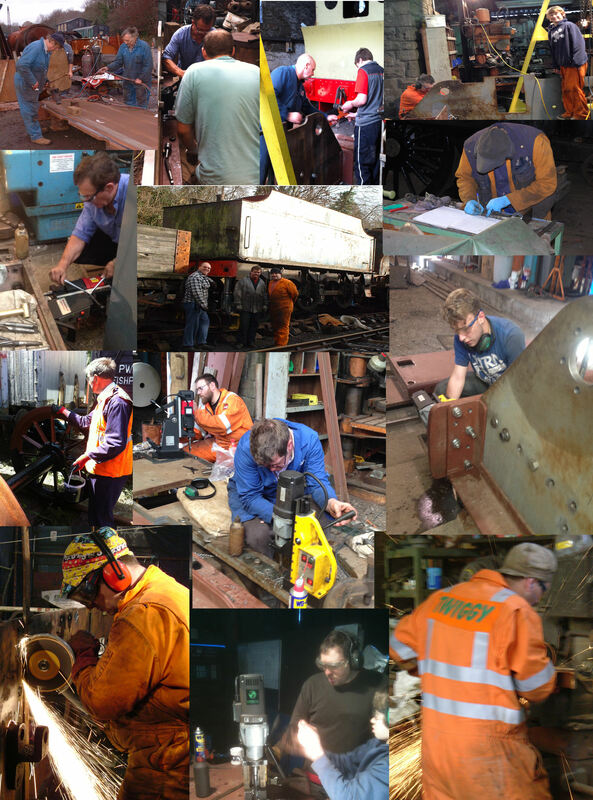 We are a hands on group and we have a wide range of work available, from cleaning & painting, welding and fabrication, turning, milling and other machining, assembly of components, through to woodwork and wagon restoration. If you are interested in getting involved in a ‘hands on’ project which uses traditional skills, does quality work and has a great and friendly team working on it, then we’d love to hear from you. We typically work two weekends a month at our base at the Avon Valley Railway at Bitton on the outskirts of Bristol, although sometimes we work at other times, and ocassionally undertake trips to visit the other surviving 4F locos. Why not drop us a quick email here: 4123LMS@gmail.com and we’ll get back to you with more details.